Order and send cheap flowers online to Riga (Latvia) in just a few clicks! Save using the service of our own courier service of floristic studio KROKUS. Cheap same day flower delivery to any address in Riga (Latvia) will allow you to get a fresh and aromatic bouquet for the holiday in 2-3 hours after the order. The best cheap flower delivery in the capital will be offered to you only by KROKUS. Choose cheap flower arrangements for delivery in the catalog of goods and make an application on the website or by phone +371 200 303 06. 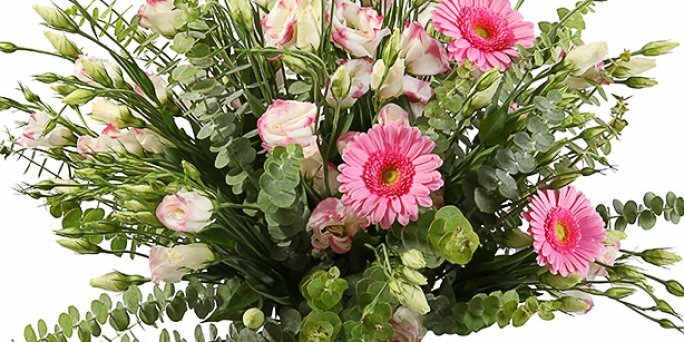 The Internet shop KROKUS is glad to offer its customers a wide range of goods and services, among which cheap flower bouquet delivery to the address in Riga or other city of Latvia is popular. Thousands of customers all over the country have already taken advantage of all the benefits of this service, as it is evidenced by their positive feedback about the company. If you want to send a flower arrangement to congratulate your relatives, close friends or acquaintances on the holiday, you will not find a better variant than to contact KROKUS for help! Here you can order the most cheap flower delivery. ● delivery of the bouquet on time and others. You can order one or more of these services, using the official website of the company KROKUS twenty-four-hour! ● other garden and meadow flowers. The highlight of any flower arrangement can be a nice addition in the form of chocolates, fruits, berries, soft toys, souvenirs or postcards. You can also buy these, as well as other gifts in KROKUS we have cheapest flowers delivery Latvia. How to order cheap same day flower delivery in Riga (Latvia)? ● delivery of the bouquet at the specified time. In addition to using the convenient form of ordering the goods on the website, you can also call the manager of the company at the specified telephone number to get a free consultation on choosing a bouquet and help in making the purchase.